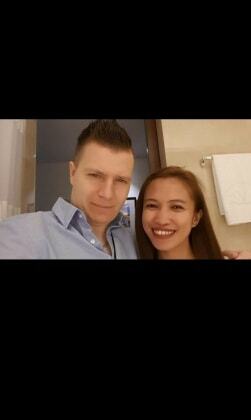 Hello, i am Jonathan, 32 years old French Men and my wife is call Jeda, she is 27 Filipina girl. We live in 1 big bedroom flat in Niddrie Area. In my flat we have fish in a 60L tank and we recently adopted a wee PUG, chiwawa. She is 1 year old, beautiful and she love the presence of others dogs. Our bella will always be happy to see other dogs as we provide pet seating in our home. We only accept dogs that don't mind the presence of other dog.. We would preferably take care of small and medium size dogs as we live in an apartment. We don't have garden but we can guarantee that we will take care of your dog the same way if it was ours. We love dogs and animals in general. I will walk your dog for a good 1h and multiple times a day. dogs or other small animals like rabbits, guinea pigs, or hamsters. that stilI lives with my parents. We provided a lot of love and care for our animals.. we considered them as part of the family. We also had rabbit ,hamster, guinea pig, fish indoor and outdoor. I know how to handle all this animals , i know how to take care of them and i would love to do it again. My wife grow up with a lot of animals . She had 2 dogs , chicken and 1 cat.